The TekNmotion Tablet Mate is a durable, lightweight tablet stand constructed out of solid aluminum alloy with a sleek surface finish. The TabletMate's elegant and compact cradle design is suitable for any 7"-10" tablet PC in either portrait or landscape position. 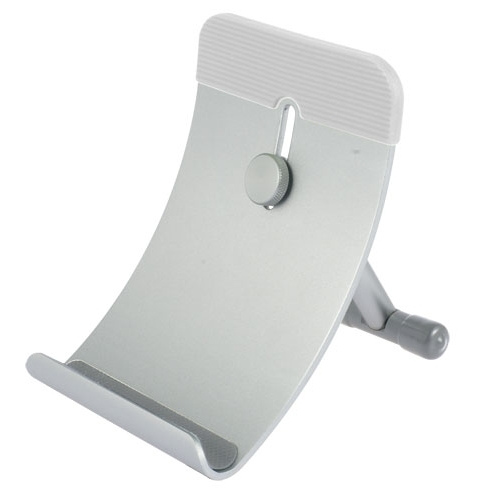 This user-friendly tablet stand has a rotational hinge making it extremely adjustable allowing any angle from 15 to 70 degrees. The silicone pads protect your tablet PC from scratches and hold your tablet PC firmly in place. The Tablet Mate stand is constructed out of incredibly durable aluminum alloy, with a modern and sleek surface finish that looks great on any desktop or table. The rugged and lightweight frame features a unique foldable design for increased storage and mobility, letting you take the Tablet Mate with you anywhere and everywhere. 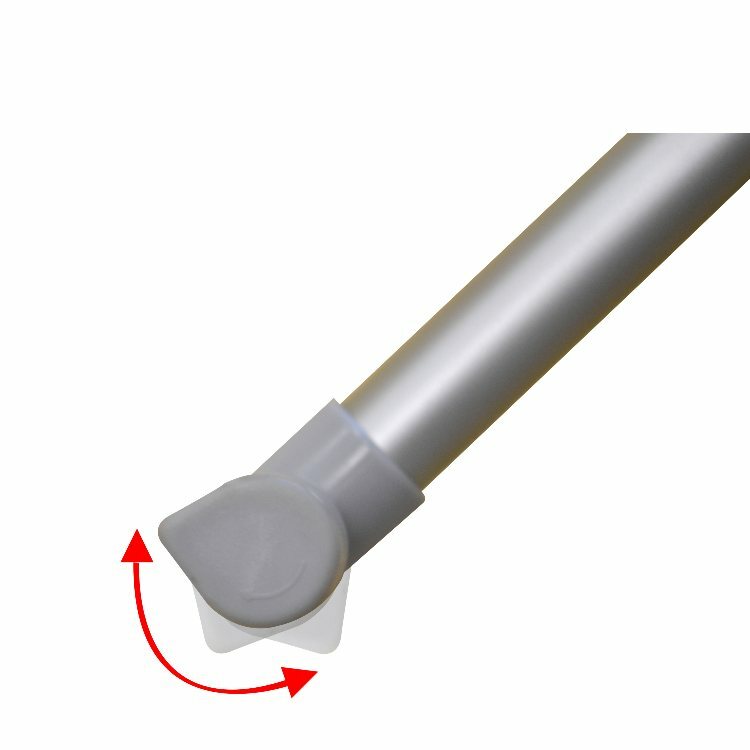 Teardrop-shaped, rotational PVC feet prevent skidding and keep your tablet stable. The compact cradle design of the Table Mate is suitable for any 7"-10" tablet PC in portrait or landscape position. The Table Mate stand works with nearly every popular model of tablet PC, from the iPad and iPad 2, to the Kindle Fire, Blackberry Playbook, Galaxy Tab, Nexus 7, and more. 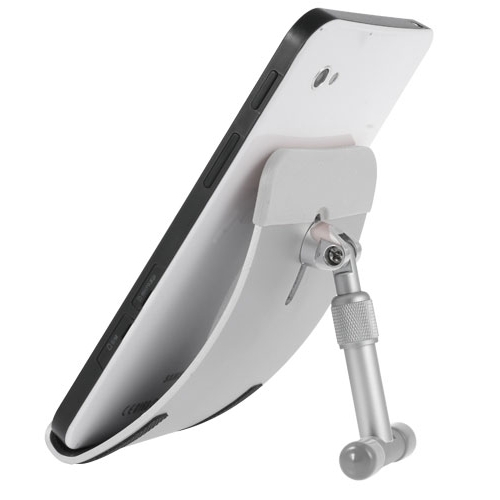 A built-in rotational hinge allows tablet viewing from nearly any angle. 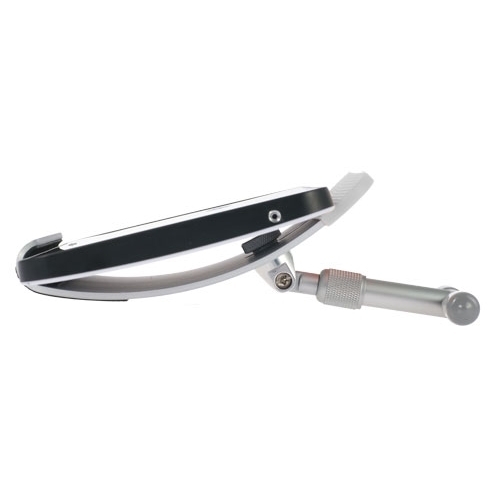 The range of the hinge can adjust from 15 to 70 degrees for more comfortable viewing. Silicone pads on the Tablet Mate stand protect your tablet PC from scratches and hold your tablet firmly in place by preventing sliding or skidding. The protective silicone pads are available in Green or Grey colors.